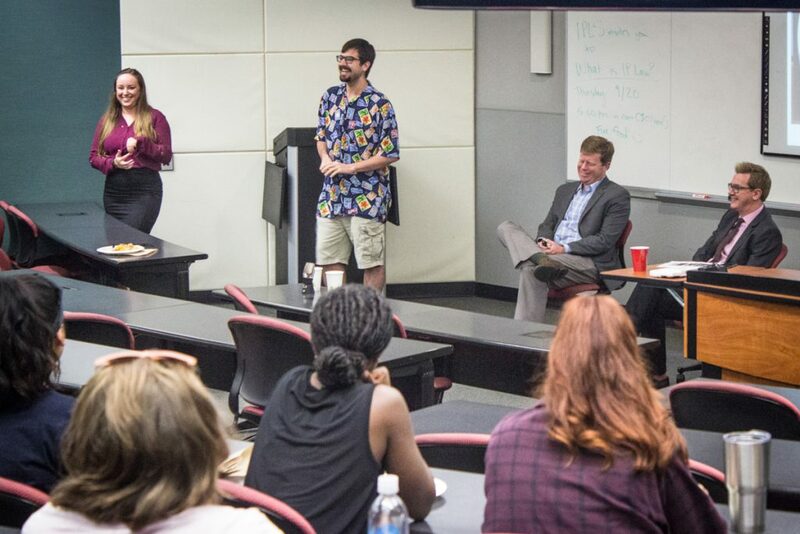 This year our CDelta (c∆) Center for Design, Law, & Technology has hosted a series of talks bringing together lawyers and expert guests from other fields, from designers to a celebrated local chef. 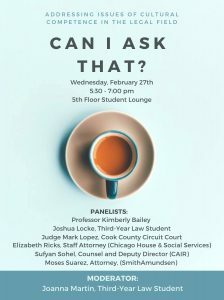 On February 27, our students hosted an event to kick-start our annual diversity week with a panel of judges, attorneys, professors, and students. 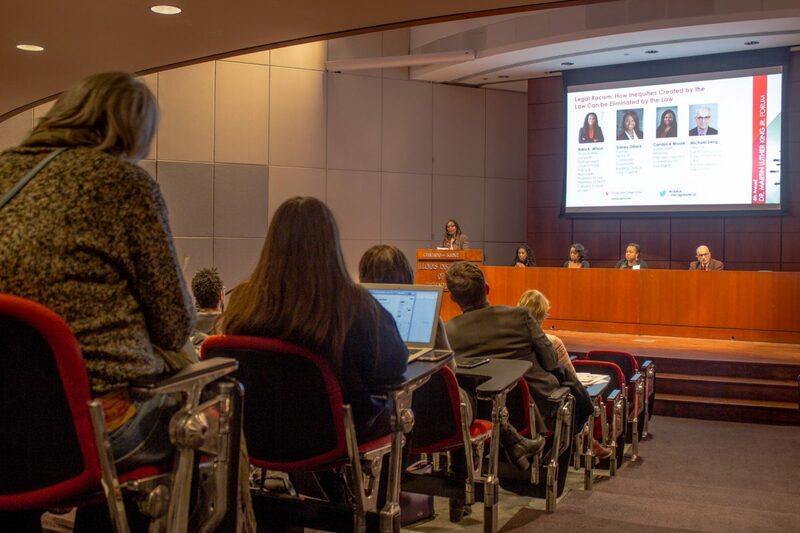 Each speaker shared their professional journey and how they address diversity and cultural competence in the legal field. 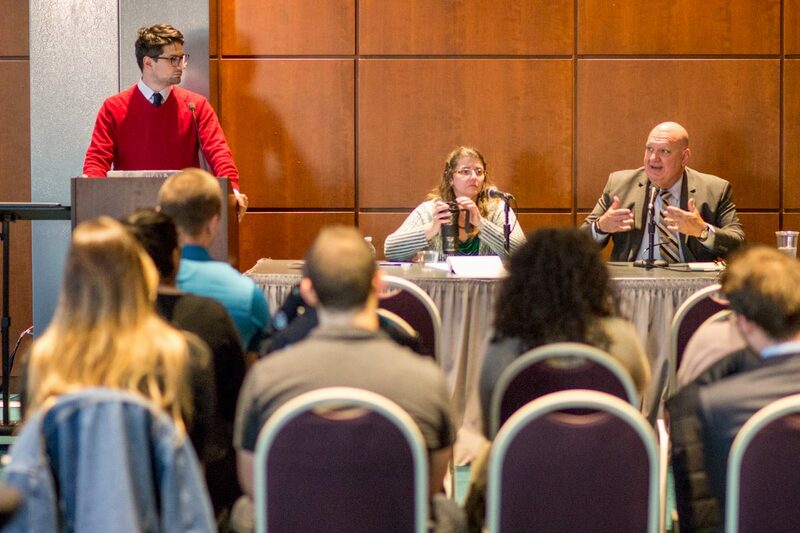 Students submitted questions in advance for the event and Joanna Martin, president of HLLSA, moderated the panel discussion. 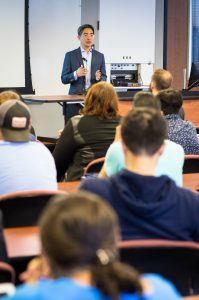 Posted on March 2, 2019 March 19, 2019 Categories CK Diversity WeekTags APALSA, BLSA, Diversity & Inclusion, HLLSA, Lambdas, MLSALeave a comment on Event Recap: Can I Ask That? 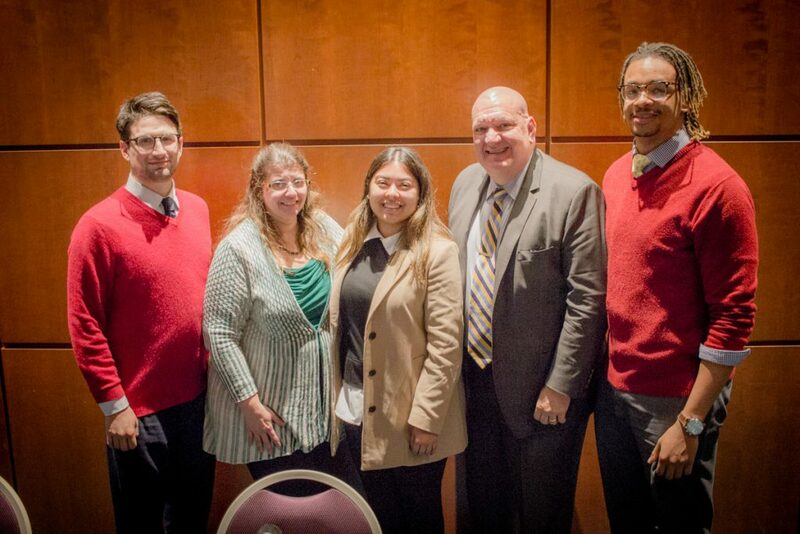 David Susler – Associate General Counsel, National Material L.P.
On January 24, 2019, Chicago-Kent hosted the 4th Annual Dr. Martin Luther King Jr. Forum sponsored by the law school’s Office of Diversity, Inclusion, Multiculturalism & Professional Development as well as several faculty committees, departments, and student organizations. 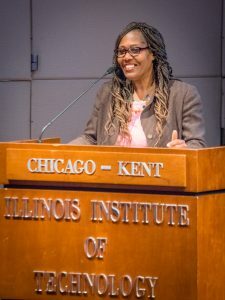 After Professor Wilson’s discussion, other panelists gave their perspectives on the impact of legal racism in finance, education reform, and housing policy. 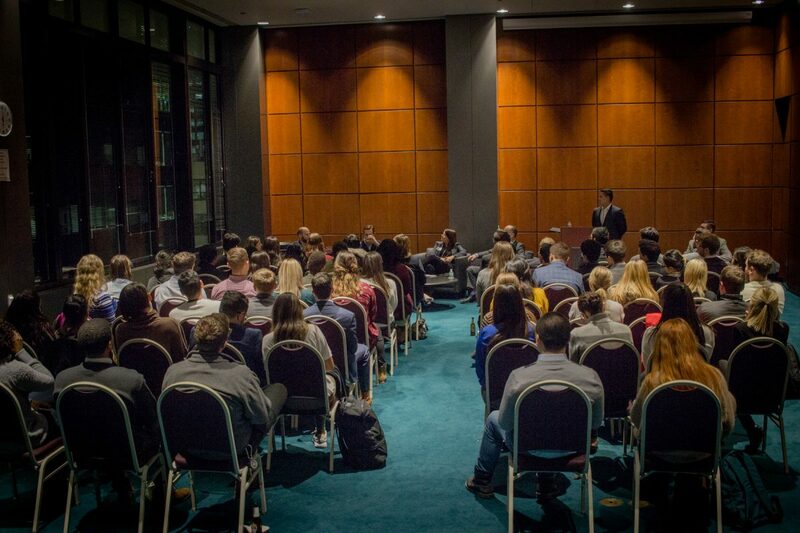 An open question and answer session followed that addressed specific examples, terms, and trends from the presentation and the speaker discussion. 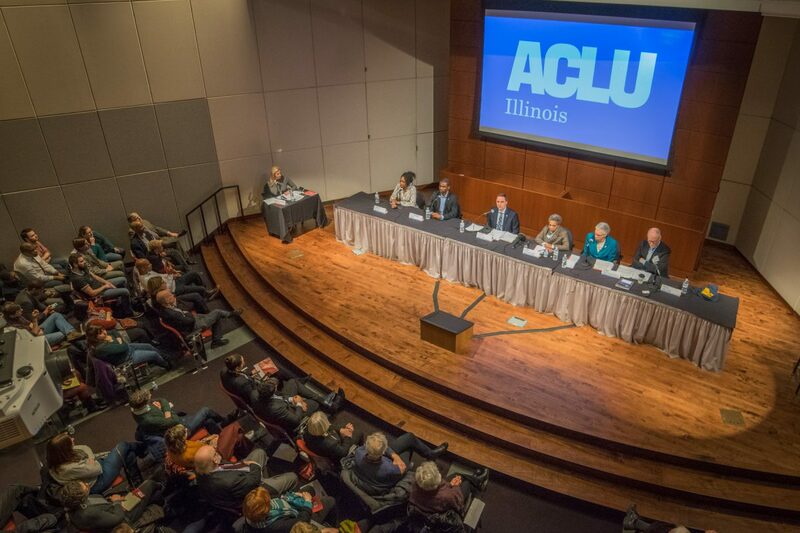 On January 18, the ACLU of Illinois invited candidates for the 2019 Chicago mayoral election to attend a forum to discuss the impact they would have as mayor on civil liberties and basic freedoms in Chicago. Dean Krent thanked the ACLU-IL for hosting the event and commended everyone in the packed auditorium for attending on a cold night. Six candidates participated in the live forum: Amara Enyia, La Shawn Ford, John Kozlar, Lori Lightfoot, Toni Preckwinkle, and Paul Vallas. 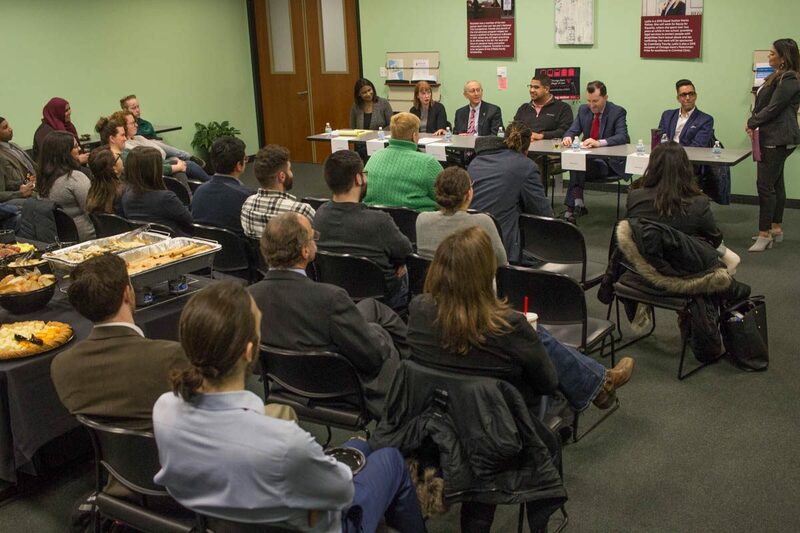 Other candidates sent their responses to the ACLU-IL questionnaire but did not attend the forum. 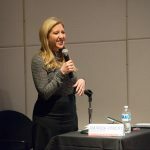 WTTW correspondent Amanda Vinicky moderated the forum. 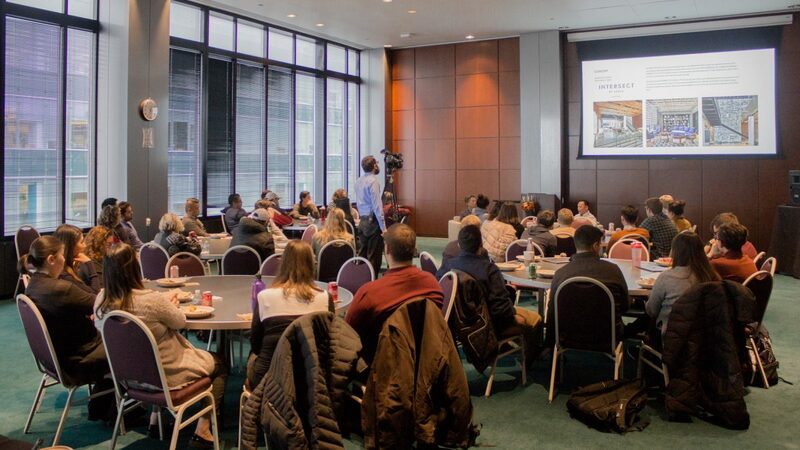 On October 16, Chicago-Kent’s ACLU student chapter and the Immigration Law Society partnered to bring together Professor Carolyn Shapiro and Ed Yohnka, the director of communications for the ACLU of Illinois, to discuss misinformation surrounding immigration at our border and the use of family separation as a scare tactic to inhibit immigrants and asylum seekers from entering our country. 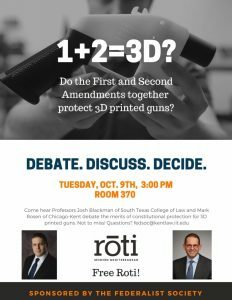 On October 9, 2018, our Federalist Society hosted an event with Professor Josh Blackman of South Texas College of Law and Chicago-Kent’s Professor Mark Rosen to discuss the constitutional merits of using the First and Second Amendments to address 3D-printed guns. Professor Blackman has represented Defense Distributed, the company that developed and released the files for the Liberator gun design, as they’ve been litigating the case over 5 years. 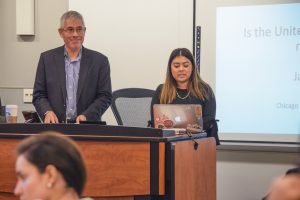 On October 10, Our Immigration Law Society invited Professor Jack Chin of UC Davis School of Law to share research from his book Immigration and Nationality Act of 1965: Legislating a New America. 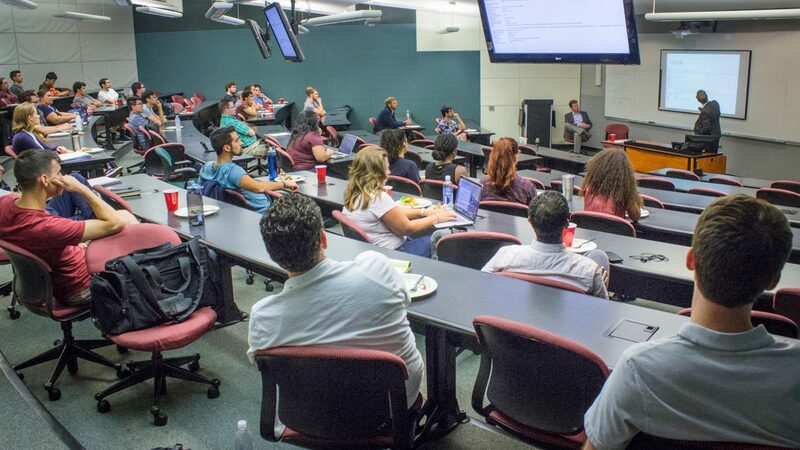 Event Recap: What is IP Law? 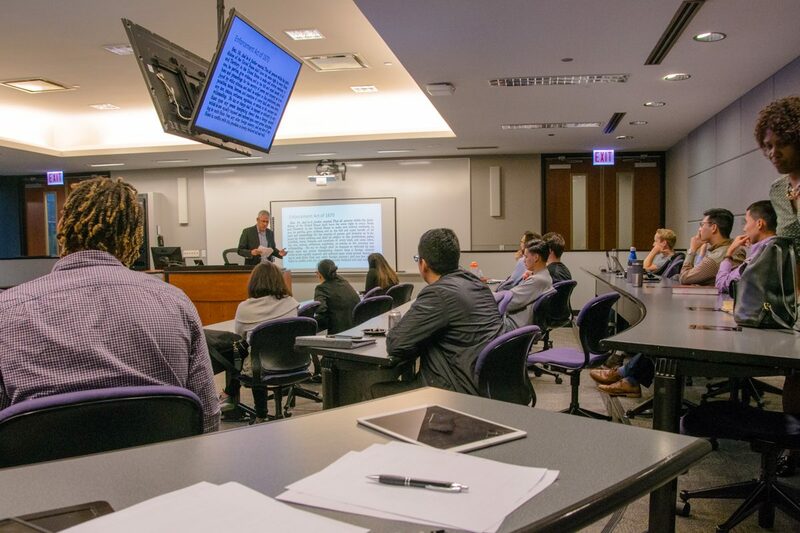 On September 20, 2018, Chicago-Kent’s Intellectual Property Law Society invited Chicago-Kent IP professors Greg Reilly and Graeme Dinwoodie to provide inspirational and important information for those who are interested in practicing intellectual property law. 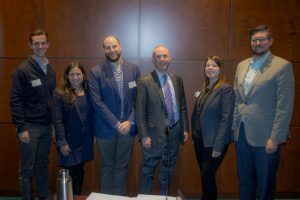 Posted on October 5, 2018 Categories Chicago-Kent Events, Intellectual Property, Student Organization EventsTags IPLSLeave a comment on Event Recap: What is IP Law? 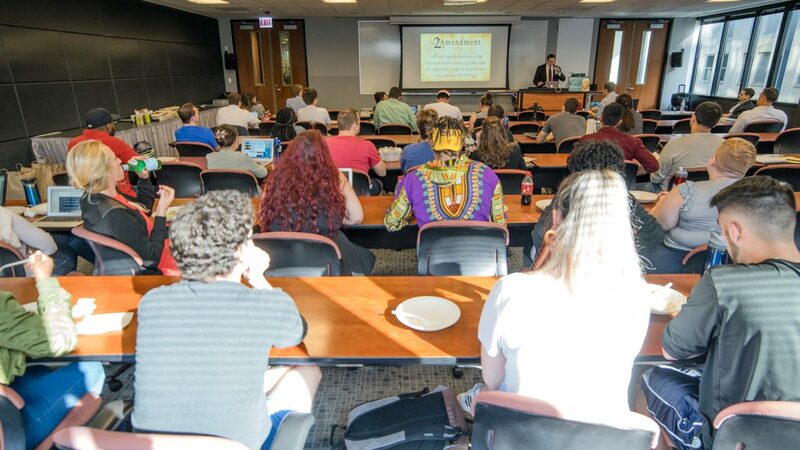 On August 29, 2018, the Center for Empirical Studies of Intellectual Property hosted a talk by Professor Edward Lee on his study of fair use as a potential defense to copyright infringement in music cases. Professor Lee explained that instead of arguing only that there was no infringement, the defendants should have asserted a fair use defense, a rare tactic in music cases. 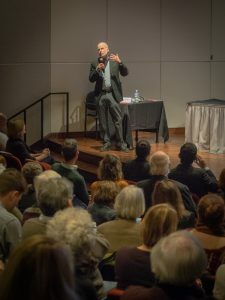 This recap includes the video from this talk along with links to Professor Lee’s recent publications on the topic of fair use in music cases. How Will the Trump Presidency Impact International Law?